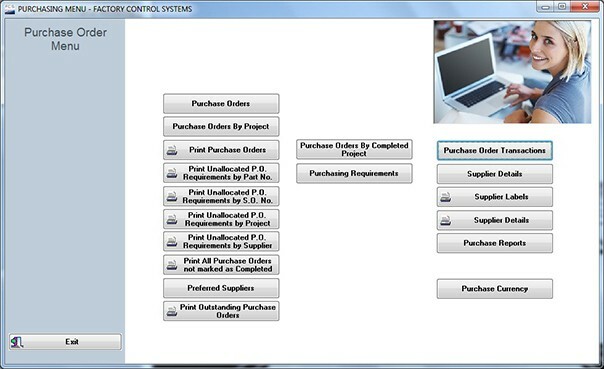 The Purchase Order Management System, allows you to store multiple preferred suppliers against each item, noting price and lead times, together with Suppliers Part Numbers and descriptions. A separate Picking List for purchased stock is available, grouped by customer order. It includes barcodes for easy ordering. 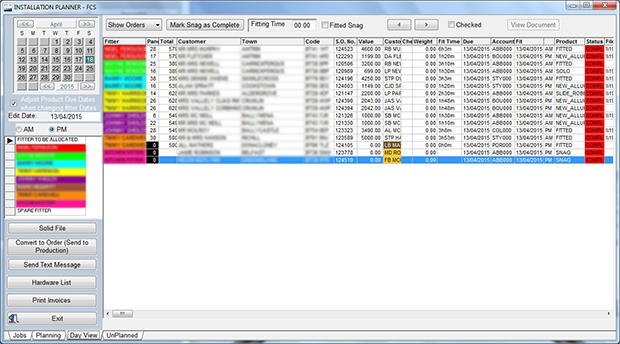 The system can handle multiple part-order receipts, that are booked either by barcode or through the menu. Orders can be emailed to suppliers, directly from the system. Multiple currencies can be used. Reports can be produced that provide analysis of you purchasing, including supplier performance. Orders can be viewed on screen, prior to emailing or printing. The installation module allows you to plan surveyors, fitters, plumbers, electrical and building work. It can manage the price paid to sub-contract workers, for each piece of work undertaken. Each resource is colour coded for easy visual planning and reporting. Your workloads are shown, by value and time, for effective utilisation of your resources.